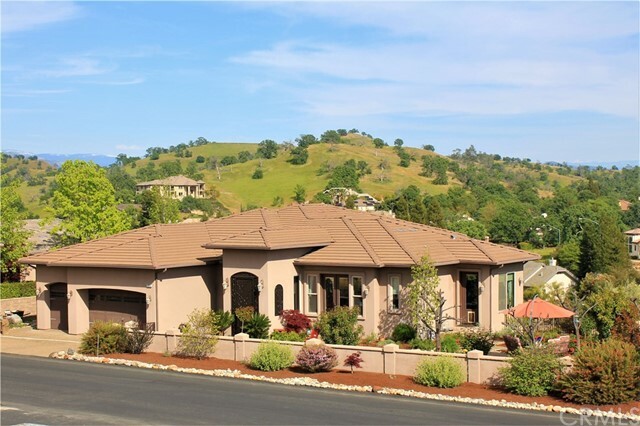 All Friant homes currently listed for sale in Friant as of 04/26/2019 are shown below. You can change the search criteria at any time by pressing the 'Change Search' button below. 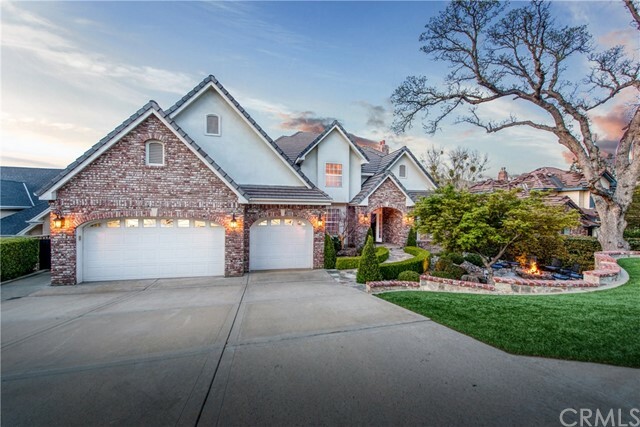 If you have any questions or you would like more information about any Friant homes for sale or other Friant real estate, please contact us and one of our knowledgeable Friant REALTORS® would be pleased to assist you. "French Chateau Estate! This amazing custom home on the #1 green at Brighton Crest Country Club is a must see! The home sits on 9/10ths of an acre in the midst of the beautiful foothills of the Sierra Nevada's just minutes from Millerton Lake. The nine foot leaded glass double door of the grand entry of this home will wow you as you enter into the foyer, with the main dining room to the left and the study to your right. The great room is adjacent to the entry way and it features soaring ceilings large windows letting all the natural light in. The large open kitchen has 2 sinks,2 dishwashers and granite counter tops for the chef in the family. Enjoy the large butlers pantry as well! This home is wired for whole house stereo, 28 built in speakers and alarm system. Fresh paint inside and out and also available, receipts for additional repairs that were recently done." "Perfectly located on the 3rd fairway with STUNING views. Exquisitely finished to complement its natural surroundings. Extensive use of granite, copper slate flooring, and natural colors enhance the captivating views from most rooms. The main floor is ground level and includes, Gourmet Kitchen, Breakfast nook, Butler Pantry, Formal Dining, Great Room, Guest Powder Room, Master Suite and 3 car finished Garage. Lower level has 3 bedrooms/2 full bathrooms (one of these bedrooms is another master suite with walk in closet and private full bathroom), extra wide hallway/Library & laundry room. Large main floor covered patio with gas for BBQ, lower covered patio w/view of fairway, PLUS a large fenced courtyard patio on the main level (plenty of room for entertainment & pool if desired). Gardening? There is both lower patio garden as well as terraced garden areas. Landscape features low water use drip irrigation with native plants chosen for aroma, attracting butterflies and humming birds." "Country Club living amidst the privacy and serenity of the foothills. This Stanley Paulus home has been featured in Architectural Digest and is situated perfectly on the 5th hole at Eagle Springs. The traditional style includes custom brick and stone work, gorgeous cherrywood floors, coffered ceilings, built ins, both french and pocket doors, and more! This 4 bed, 3.5 bath home has 3,460 sq ft on just over a quarter acre with plenty of room for family and friends. The drought tolerant landscaping embodies the beauty of outdoor living- a private courtyard with a gas fire pit in the front and 2 patios with a pebble tec swimming pool in the back. Downstairs features an office, study, family room, formal dining room, powder room, wine cellar, kitchen, and laundry room- with a laundry chute! All of the spacious bedrooms are located upstairs and are equipped with walk in closets and tons of attic storage. Come experience this home and lifestyle for yourself!" 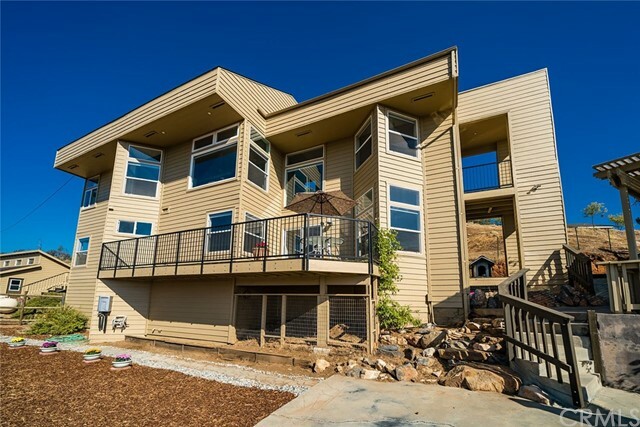 "Stunning, contemporary home with breathtaking views of Millerton Lake. Nestled just off the north shore, this gorgeous, split level, features a clean, crisp, design. The dramatic roof line and countless windows create an airy feel throughout the main living area. This home offers 3 spacious bedrooms, 2.5 beautifully designed baths, both a living room and family room, a fully updated kitchen with a breakfast and cappuccino bar complete with views from almost every room. The isolated master suite includes a stand alone tub, walk-in shower, dual vanities and walk-around closet. You'll enjoy the exterior of this home just as much as the interior with multiple balcony and deck areas to sit, relax, and take in all this natural beauty. The detached 2 car garage with raised ceiling space offers storage or additional work space if needed. Don't miss the opportunity to own this dream home! Call a Realtor today." "OFF THE GRID. FOR THE YOUNG ENTHUSIAST. 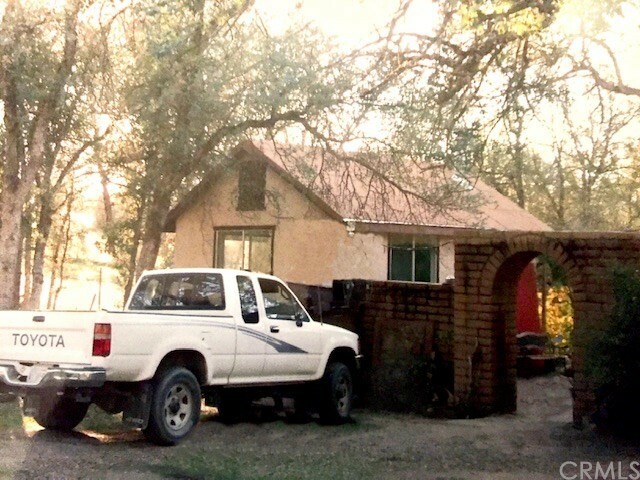 MAINTAINED, SECLUDED ALL 40 ACRES FENCED & GATED. STUCCO/CABIN STRUCTURE FOR GREEN LIVING, 800 SQFT +/-, LOTS OF WINDOWS, LARGE COVERED PORCH, 1 BATH, LARGE KITCHEN & LIVINGROOM/BEDROOM. OPEN FLOORPLAN. ROCK FIREPLACE & WOOD STOVE. HAS A STUDIO 230 SQFT +/- WITH WOOD STOVE. PROPERTY HAS A SEASONAL RUNNING CREEK. BEST TASTING ABUNDANT WELL WATER, WITH SOLAR PUMP & STORAGE TANK. TACK SHED WITH PASTURES. CABINS RUNS ON SOLAR PANELS, WIRED 12 VOLT & 120 VOLTS, POSSIBLE IF ELECTRICITY BECOMES AVAILABLE. STORAGE BUILDING & WOOD SHED, GARDEN SHED & CHICKEN COOP. GREENHOUSE & ADDITIONAL CONCRETE SLAB FOR POSSIBLE GARAGE. OAK TREES WITH ROLLING HILLS FOR HIKING & VIEWS. THIS IS TUCKED BACK IN THE BEAUTIFUL SIERRA NEVADA FOOTHILLS OF FRIANT. THIS IS A UNIQUE PROPERTY TO FINALLY LIVE THE LIFESTYLE YOU ONLY DREAMED OF. OFF THE BEATEN PATH FOR PRIVACY & FREE STYLE."